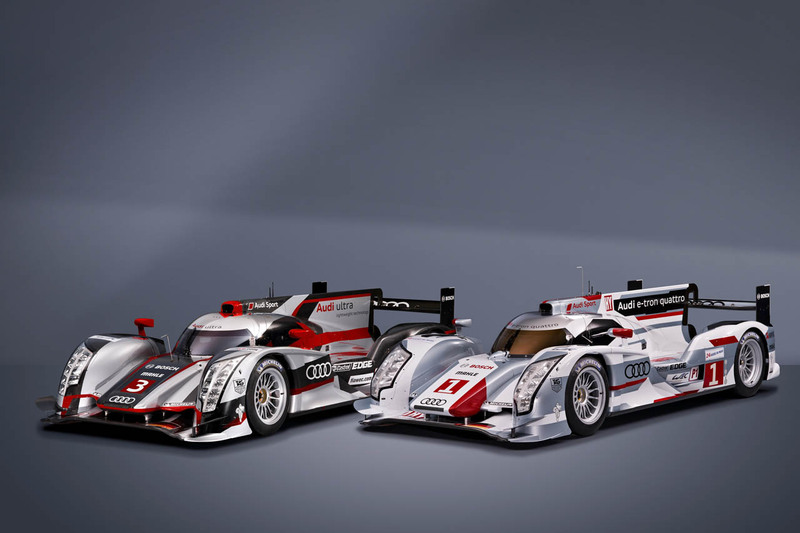 Motor sport is used yet again by AUDI AG to pioneer new technology: the brand with the four ring's new Le Mans race car is the world's first LMP1 car to combine a highly-efficient TDI with a hybrid system. 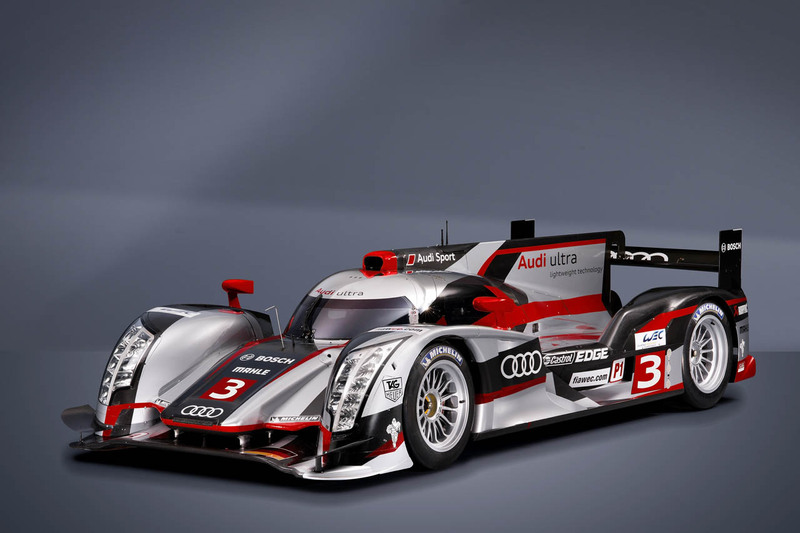 quattro drive also celebrates its comeback to the race track with the prototype – in a entirely new form. "Audi has always consciously selected championships and categories in racing that have a close relationship to production and therefore have technical relevance for the Audi customers," explains Head of Audi Motorsport Dr. Wolfgang Ullrich, who personally drove the new Audi R18 e-tron quattro onto the stage on Wednesday evening during its world premiere in the Audi Training Center at Munich airport – electrically and almost silent. 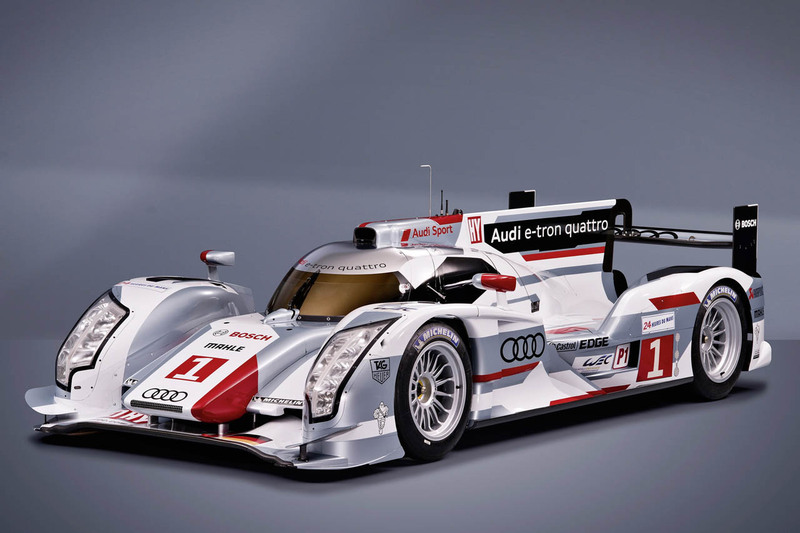 "quattro, TFSI and TDI are three excellent examples of how motorsport has stimulated production development. A similar tendency is apparent with the e-tron quattro: we test a completely new technology on the race track before it's introduced to the Audi production line." 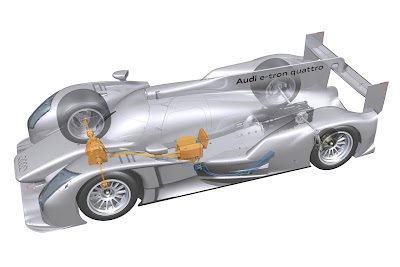 The project e-tron quattro for motorsport started in February 2010. Only 18 months passed from the initial conceptual ideas to the first test. "This is a relatively short cycle for a technology that has never been tested in motorsport and which still doesn't even exist in production," stresses Dr. Martin Mühlmeier, Head of Technology at Audi Sport. "The challenge is correspondingly big." 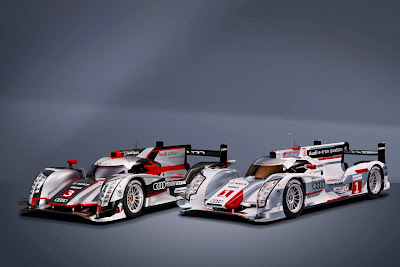 The R18 e-tron quattro's twin brother more than lives up to its model name 'R18 ultra': it is the lightest Le Mans prototype that Audi Sport has ever built. 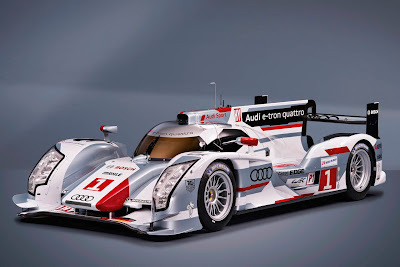 To compensate for the additional weight of the hybrid system the subject of lightweight design and construction was the focus throughout development of the 2011 Le Mans race winning R18 TDI. In addition to the many detail optimizations there is also a genuine innovation in the transmission area: a new gearbox with a carbon-fiber composite housing was developed for the R18 – a premiere for endurance racing. "The new R18 ultra is a distinct evolution of last year's Le Mans race winning car," summarizes Head of Audi Motorsport Dr. Wolfgang Ullrich. "Our drivers' impressions were very positive from the first moment. Without the weight optimized R18 ultra we would have not been capable of realizing the R18 e-tron quattro which is absolutely identical with the exception of the hybrid system." Audi Sport Team Joest will field two R18 e-tron quattro and two R18 ultra prototypes in the Le Mans 24 Hours on June 16/17. 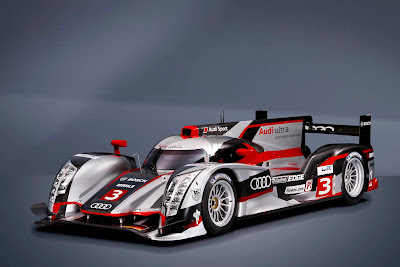 The two hybrid cars are driven by last year's winning trio Marcel Fässler (CH), André Lotterer (D) and Benoît Tréluyer (F) as well as Dindo Capello (I), Tom Kristensen (DK) and Allan McNish (GB) who boast a total of 13 Le Mans wins between them. New signing Loïc Duval (F) starts together with Timo Bernhard (D) and Romain Dumas (F) in an R18 ultra as do Marco Bonanomi (I), Oliver Jarvis (GB) and Mike Rockenfeller (D).